Hello everyone. It has been a shamefully long time since I wrote anything on my blog, as I realised that simply writing it was taking a lot of my time, and I needed to prioritise time with my family, working on the business and actually getting on with the job of Transition. Quick update below, but first to Valentine’s Day. Transition Town Berkhamsted is a member of the Climate Coalition, which I’m sure I have mentioned before. They are a group of 100+ organisations, from NUS to Christian Aid, WWF to Grandfathers Against Climate Change, RSPB to 350.org. Boy, are they getting organised, as the movement gears up to the Sustainable Development Goals in September and the international climate change agreement in Paris at the start of December. It all starts with the video above, which I’d urge you to share around. Let’s all #showthelove and put our hands up about what we care about, and is threatened by climate change, now and for future generations, here and abroad. To show you care, download instructions as to how to make a tiny green heart, or make one of your own, and wear it. 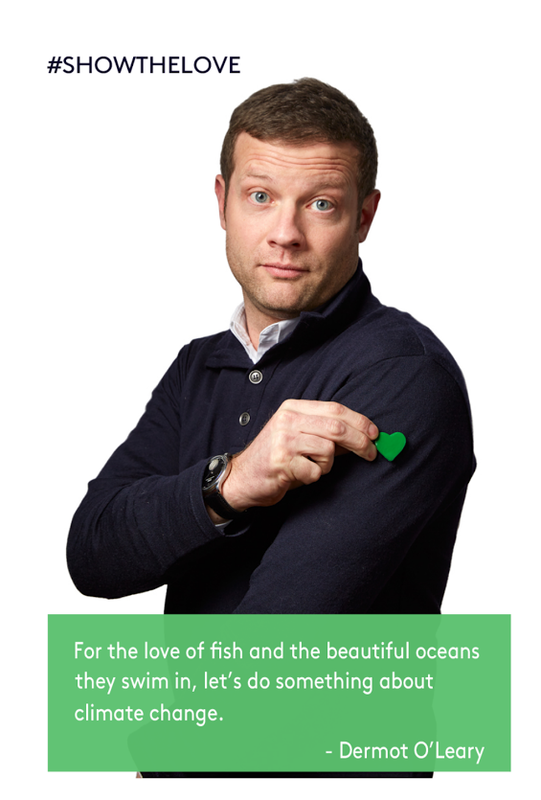 And this Valentine, #showthelove by giving your loved ones a heart using this fantastic online tool. PS – just found out that the credit for the photo in the banner goes to our very own Hannah Henderson, who is now working for Christian Aid. Love you Hannah! Great job. It’s been two months since my last blog post. I will keep blogging, but not as frequently as I had in the past. I just have to now, to hopefully encourage a good turnout of support for the People’s Climate March on 21 September. I’m hoping to persuade a few of you reading to turn up in one of the cities that are holding marches, or at least to join in with an online Thunderclap. This is huge. Why now? Why 21 Sept? 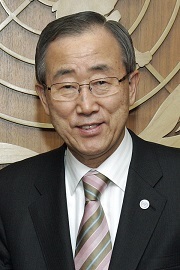 The reason is that Ban Ki-moon, the UN Secretary General, has convened a meeting of all of the world’s leaders in the lead up to the 69th UN General Assembly, in New York on 23 September. On the agenda will be one item only – commitments to action to address climate change by curbing man-made emissions of greenhouse gases. This is in preparation for the Paris COP in 2015, the point at which all of the countries of the globe have committed to set out their plans and targets jointly for reducing emissions. “The world needs to see what countries are already doing to reduce greenhouse gas emissions. The race is on, and now is the time to for leaders to step up and steer the world towards a safer future.” Ban Ki-moon, UN Secretary General. All sounds great – until you realise that the commitments so far made fall far short of those needed to keep global warming to less than 2°C, the temperature increase that was agreed by all governments internationally as the threshold for catastrophic climate change. The world’s leaders need to know that they have our support to go further and make our planet safe. There is hope. China has just announced that they will set up a national carbon pricing market – effectively putting a price on carbon emissions. It means China are getting serious about reducing their impact, and paves the way for others to do the same. Europe already has a carbon pricing market, currently the biggest in the world, but which was reduced in effectiveness a few months back when they accidentally voted to release more permits to emit carbon dioxide than they should have and flooded the market. I say accidentally because some of the MEPs later admitted that they’d got confused and meant to vote the other way – it was a close vote. I’m going to the march in London, meeting friends around 12 noon. The march starts from Temple at 1pm, only lasting 45 mins before a rally at 1.45pm. Let me know if you are going. Elsewhere in the UK, there are marches in Stroud, Manchester and Edinburgh, as well as another 7. There are other marches all over the world, with the biggest in New York itself, where hundreds of thousands are expected to take to the streets. This could be the most important moment in history. You’ll want to be there just to be part of it, take a few photos for the grandchildren. They’ll be miffed if you don’t. PS – I promise to write about the climate changey stuff I’ve been doing over the past couple of months at some point – I’ve not been dormant. Transition Roadshow, Mike Berners-Lee coming here on 23 Sept, organised a picnic for the people in my street, been to Houses of Parliament to launch the “For the Love Of” campaign, da di da. I also plan to set out my step by step guide to saving the earth, and talk about different sorts of people. Been a long while since I’ve posted up on here, as I’m making sure I do a good job on a smaller number of things for a few weeks. Planning for the Transition Roadshow, next Ashlyns Conversation, cavorting around with a pan on my head in inner transition while playing with ideas to make meetings more fun and productive, gearing up to the global day of action in September – that’s all still happening. I’ll write about it all soon. In the meantime, here is the speech David Cameron would make if he was being honest. I’m sharing more for it being funny than anything else. Well, so much for not putting so much time into climate change antics. No sooner had I published the last blog post about concentrating on the business, that I got a phone call from the Transition Network. We are hosting one of the four UK Transition Roadshows. It was only a week or two ago that there was a flurry of conversation on the email group of the Transition Beds, Bucks, Herts conglomerate. Or whatever we’ll call ourselves – basically the group of a dozen or so Transition Towns based around these here parts. Should we be Transition Three Rivers, maybe? I don’t know. 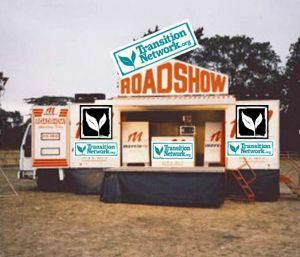 Anyway, a few of us had noticed that there will not be a national Transition Network conference this year – instead there will be four Transition Roadshows across the UK. The thinking is that given Transition is about permaculture and local being key, having a range of roadshows around the country rather than one central conference will give more people the chance to attend, make them more relevant and give local Transition Initiatives a boost of profile-raising pizazz. The deadline for applications was in a day or two. Kings Langley, Haddenham, Letchworth and Milton Keynes were all interested in a roadshow being hosted somewhere within our catchment, as were we in Berkhamsted. With the deadline for expressing an interest looming, ducks were churning their legs unseen behind the scenes to decide who would like to put in an application, and weren’t showing great signs of getting in a row. So Linsey in Haddenham and me in Berkhamsted decided to put in our applications anyway, with the promise of support from the other groups. A couple of feverish hours later my application was off to Amber Ponton at the Transition Network, and out of my mind. So the following week, when I got a phonecall on my mobile from Totnes while having breakfast with my wife and the little one, I couldn’t figure out who it was on the other end of the phone. It had been a different sort of a morning because my laptop had packed up (I’m writing this from the replacement) and we’d just watched Small in the Reception assembly dancing to the samba in celebration of all things Brazil. Apologies Amber for our slightly whacky conversation, as I danced along a narrow wall in celebration. We will be hosted one of the four Roadshows. Oh yes, we will. Oh, no, that means organising something. OK, it’s Wednesday 25 June 2014, nearly a year and a half into my year off, let’s take stock. In this post I’ll outline my plans for the next few months. You may have noticed that I’ve not been writing as much in the last week or two. The business is teetering on the edge at the moment, with an avalanche of potential railway projects just up above us as we carefully ascend the mountain of Never-rest. If a few of the projects land, my business partner and I will be rushed off our feet and thinking of inventive ways to get through the workload. That’s starting now as we try to get as much preparation under our belts as we can. Which means life is looking more ordinary, with less zooming about saving the world. I can justify that by realising that Transition Town Berkhamsted is now stabilised, with a number of people committed to the cause and several projects on the go. I have realised that the most important work I can do is on myself, building relationships within the community of the people involved in TTB and getting to know the people on my street. 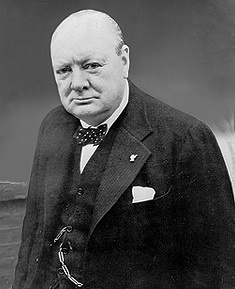 The solutions to the big problems can create big problems in themselves, emphasising the importance of a moral outlook. What shall I write next? How about going through plans from the inside to the out like I have done in the past. So, starting with my inner self. A smidge of mindfulness, especially when I’m stuck in front of a soul absorbing screen, like the one I am looking at right now. It will be all to easy to get side-tracked when I am overly busy, forget the body in which I live, moment to moment. I’m getting exercise riding my bike every day, and will be keeping up the early morning jogging. Or at least I will when I don’t get drawn into staying up late to watch the World Cup. I’m eating healthily thankfully, now that the diet is 90% vegetarian and I’m still fasting two days a week (or one when I’m into the habit of exercising regularly). One thing I have to do, no matter how busy I get, is to remember why I am doing all of this. My children. Yes, I spend time with them now, but it is often just when getting them ready to go to school, or for bed at night, apart from the weekends. Yes, we have fun. I’ll need to prize them away from the telly after school. For the plans for allotment, street, town, country (including the For the Love campaign and an upcoming visit to the UK parliament) and planet, you’ll have to wait for the next post. Over the past year or so I have been keeping abreast of the latest social, political, technological and scientific news on climate change. I’ve not been sharing every last detail on my blog, so here is a whistle-stop tour of all you need to know. To make my job a whole lot easier, Al Gore has just written an article in Rolling Stone magazine on the same subject. Solar power is getting much cheaper, and looks set to become cheaper than fossil fuels. Utility companies are shrinking from the US to Europe as a result. It’s small-scale solar owned by individuals and communities that’s leading the way. India plans to provide power for 400 million people using the sun. Wind energy is following fast. Big business is fighting back, investing millions in lobbying to effect law that holds back the renewable revolution by increasing taxes, but are being largely defeated. Meanwhile, carbon dioxide concentration in the atmosphere has passed 400 parts per million, the highest it’s for at least 800,000 years, where we started farming only about 10,000 years ago. 13 of the 14 hottest years on record have been since the year 2000. This year looks likely to be the hottest yet, with an El Nino brewing. People worldwide are starting to realise that there is a common cause behind the droughts of the US, floods and storms in the UK, Serbia, Philippines and New York, seas rising and already threatening the lower lying lands. Ice is retreating at more than a glacial rate everywhere from Antarctica and Greenland to the Arctic. The changes are already irreversible. The US military have changed their mind about climate change being the most significant force in destabilising world peace because of it being a “multiplier”. They now say “it’s going to be the direct cause of instability”. The technology is available, and the political will needs to follow. The wording for the Paris 2015 agreement on climate change is being drafted as I type. There was a moment’s peace, with the faint murmurings of the dishwasher in the next room only disturbed by the all knowing pronouncements of Mark Lawrenson in comment on the football World Cup match between Spain and the Netherlands. The children were all in bed, but weren’t quite ready to sleep. Rowan came downstairs after persuading them to close their eyes, and started to tidy the piles of toys left on the living room floor. John felt a vague momentary feeling of guilt as he sat and watched, in front of his laptop. The past few days had been busy and long, with head hitting pillow in the early hours each night. No contracts had been signed, but there was a lot of work to persuade the railwaymen of Britain to adopt new approaches. He had to be honest with himself, it wasn’t all slog. Two of the late nights had involved a spot of food out in London, meeting with friends and colleagues, intent on turning the oil tanker of human society against the drag of willful ignorance about the need to change the way works. Van Persie scored a wonder goal with a looping header to level the match for the Netherlands. Holland. They were playing in Brazil, which is a hot and humid part of the world at the best of times. In the south of the country, 130 cities are in a state of emergency as torrential rain and floodwater engulf the region, and tens of thousands have been evacuated. Like a fly gorging on effluent, blissfully unaware of the massive form of the rolled up newspaper poised threateningly above it, the crowds of brightly coloured fans knew little of the trouble brewing just below the surface of the Pacific Ocean. The Child is awaking, after years of heat building up in the deep ocean. El Nino is nearly upon us. The much maligned scientists, unfortunate messengers being shot with every new report, have used the technologies at the forefront of the advances of the human race, from vast super-computers to detailed intricate surveys of the extremities of the planet. Only recently they have finished collating the data, and the news again is not good. Their is nothing left to stop Antarctica from melting into the oceans, and Greenland is on its way. The tipping point has passed. Our oceans will be metres higher, and there is nothing we can now do to stop it.